From the United Nations to the G-20 Summit to the various levels of government, much of the talk about the environment is merely that: talk. The headlines reflect it: an oil spill here, a tailings pond leak into a waterway there, a train crash spilling toxic substances. This month we saw Quebec mayors rejecting the TransCanada pipeline proposal and more than 100 protestors arrested in BC over the expansion of Kinder Morgan’s Trans Mountain Pipeline. The environment has increasingly been in the spotlight, with ordinary people calling for less talk, more action, even if it means landing in jail. 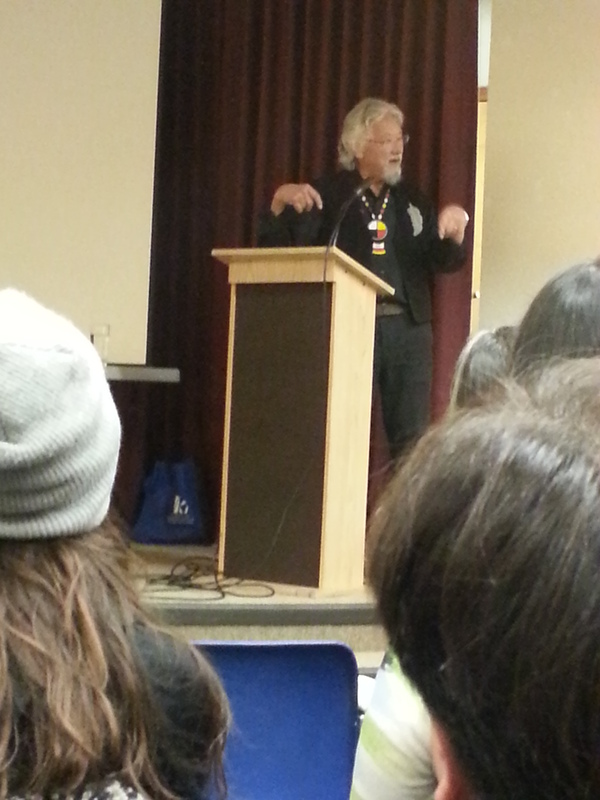 Not by coincidence, David Suzuki was in Yellowknife early this month, one of many stops on his Blue Dot tour. The Blue Dot project is the Suzuki Foundation’s grassroots movement that is aimed at holding our governments accountable for environmental rights. It encourages citizens to push our local governments to pass legislation that recognizes our right to a healthy environment – one with clean air and water, and from which we can produce healthful food. The thinking is that if it starts at the municipal level, it will expand to the provincial level, then to the federal government, the ultimate goal being an amendment to the Canadian Charter of Rights and Freedoms. 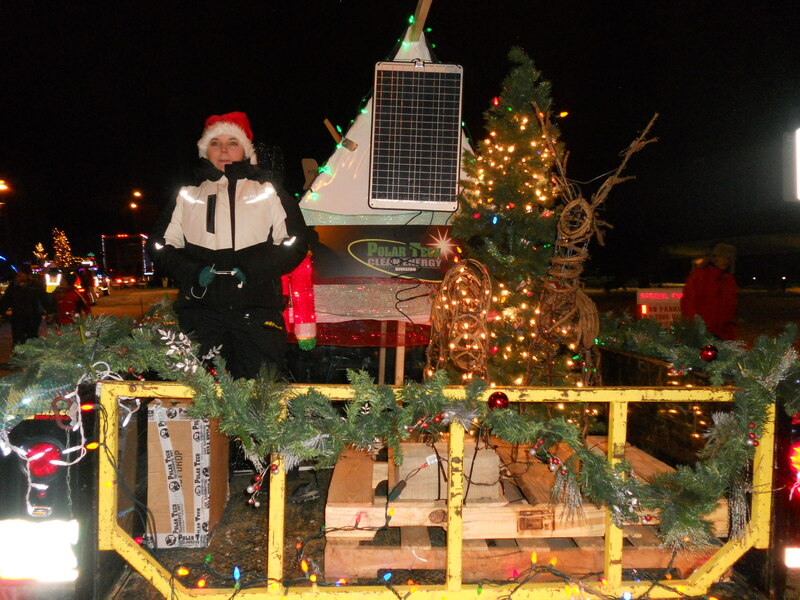 The Yellowknife tour stop was sponsored by Dene Nahjo, an organization whose mission statement includes respect for the land and the advancement of social and environmental justice for northern peoples. In typical fashion, the venerable Mr. Suzuki explained the effects on the environment of the heedless pursuit of profits, and the need to make massive changes, for the sake of future generations. Age has not dampened his enthusiasm, or his ability to make things understandable. If he had been my science teacher, I would never have spent so many hours bored in class. He encouraged attendees to join fellow citizens and add their names to the petition at BlueDot.ca. After his talk, he joined in a lively panel discussion. The room was packed to the hilt, with the overflow crowd sitting on the floor or standing at the back. It was well worth attending. 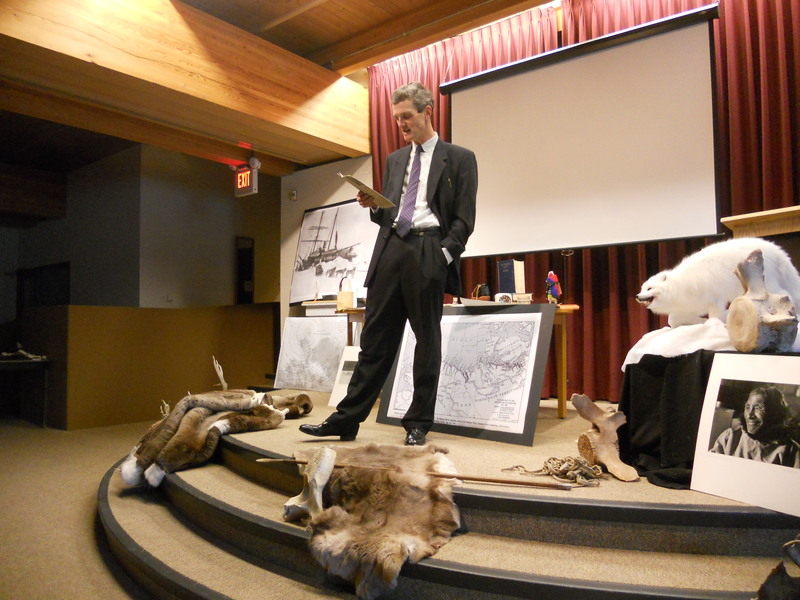 The theme moved from whether the environment will survive humans to how humans survive the environment in the north, in a one-man play put on by Jamie Bastedo. He played the arctic explorer and anthropologist Vilhjalmur Stefansson and recounted his arctic expeditions of 1906, 1908 and 1913. 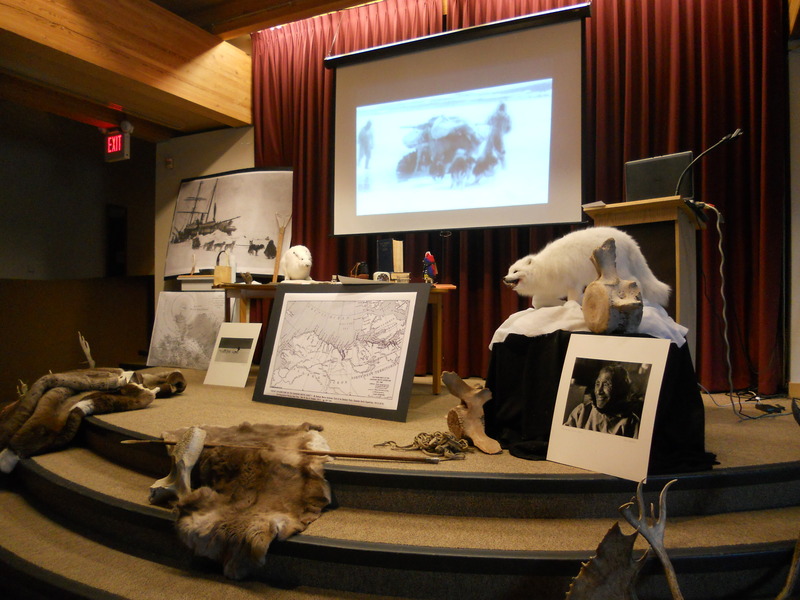 There was a lot of attention paid to detail on the set, which was composed of pictures, artefacts, animals in whole and part (antlers bones, and fur) as well as early maps of the Arctic, based on the understanding of the terrain at the time. As an anthropologist, Stefansson kept a diary, making all of his observations in a series of notebooks. He drew on them for his book “The Friendly Arctic”. His view was that anyone could survive in the Arctic simply by doing as the Inuit do: eat the same diet, dress in the same fashion, and above all, use common sense. 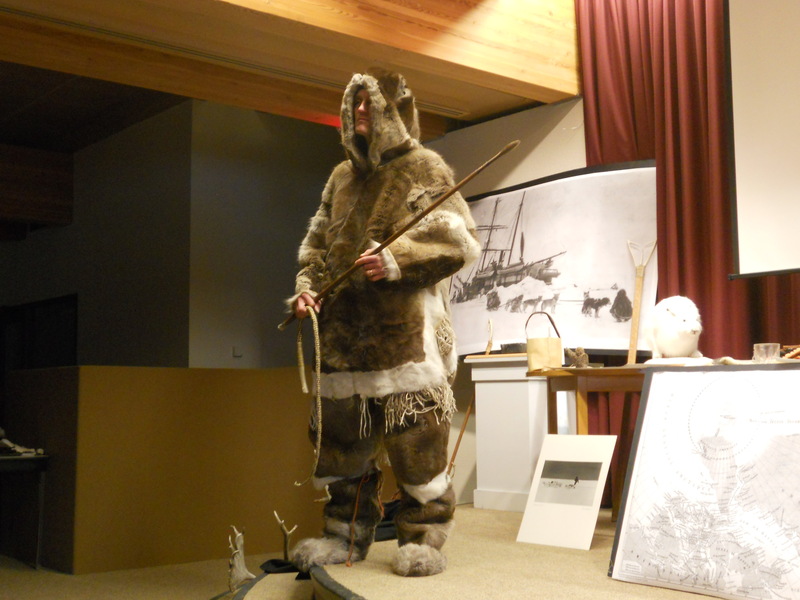 By the end of the play, he had exchanged his suit for traditional fur clothing, looking like quite the hunter with his spear. In current times, surviving the northern environment is probably much easier, thanks to climate change. Yellowknifers are fond of assuring newcomers that snow will be on the ground to stay by Hallowe’en, and it will be cold enough that kids have to put on parkas over their costumes. 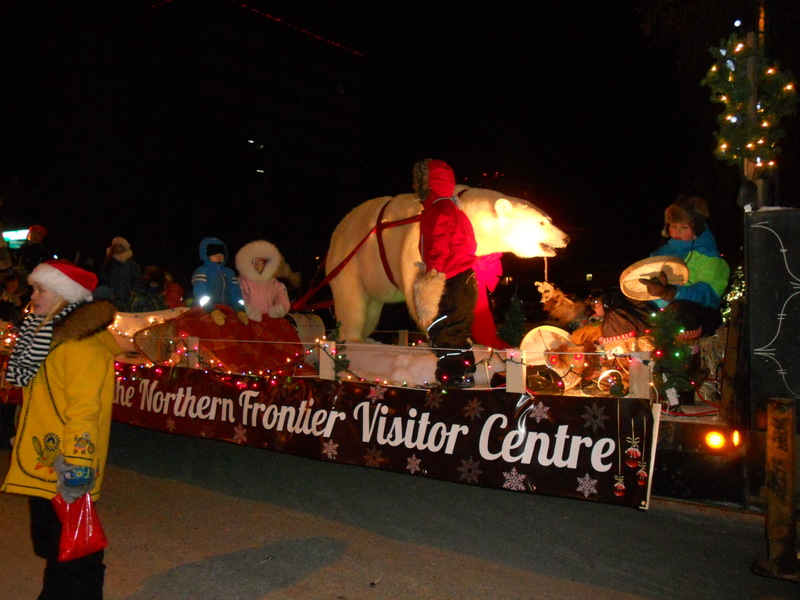 Last month we saw a relatively warm, snow-less Hallowe’en in Yellowknife, and in Arviat, on Hudson Bay, there were hungry polar bears roaming the town. Usually, at this time of year they would be on the ice far out in the bay hunting seals. However, it was so warm that the ice didn’t form at the usual time, so to avoid the trick-or-treaters becoming bear treats, the celebrations were held indoors at the community centre. 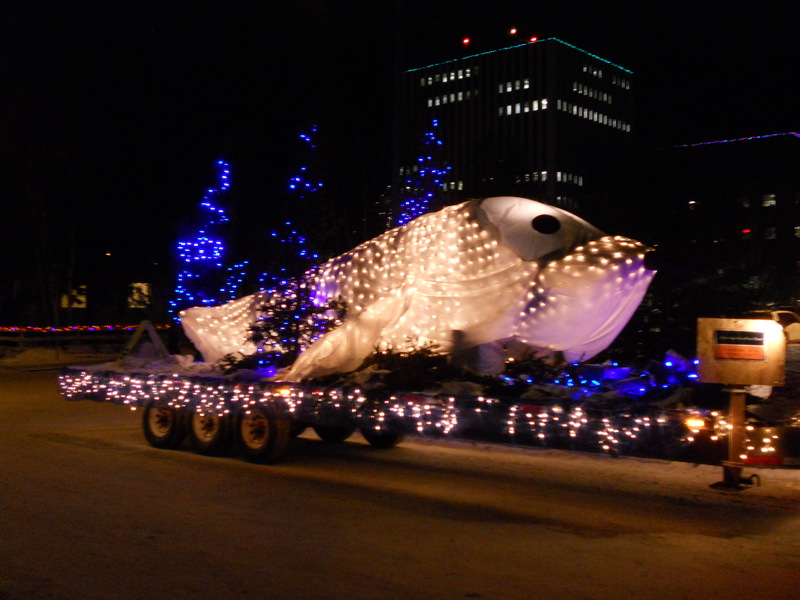 Before we could blink twice after Hallow’een we were into Christmas, and as I’ve informed several curious or bantering friends, there are no polar bears in Yellowknife, so the Santa Claus parade was held as usual. It strikes me as a bit odd that it’s held at night, given that the target audience is children. It’s not as if there’s a ton of traffic to divert. I’m guessing that it’s to show off the Christmas lights to the maximum. 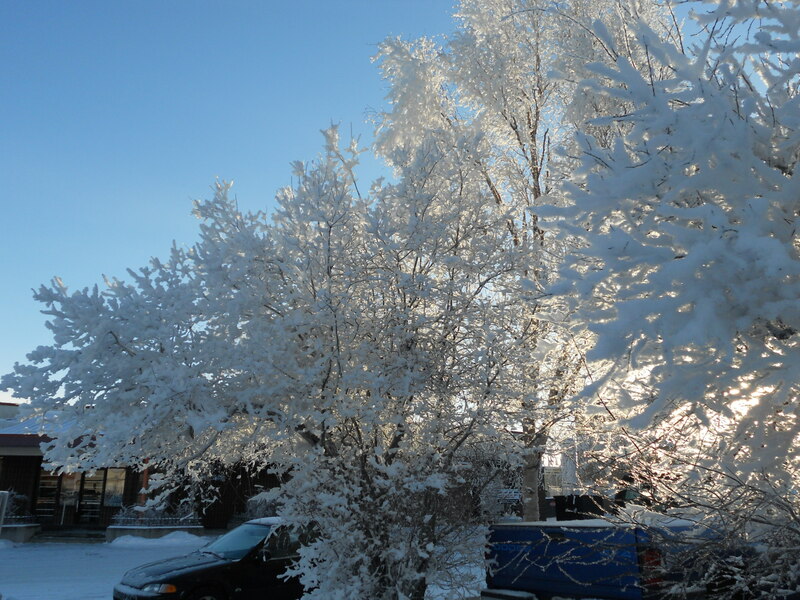 It was held on November 15th, by which time the temperature had suddenly plunged, the snow was definitely on the ground to stay and there was hoarfrost on the trees. The crowd lining Franklin Avenue, the main drag, was as enthusiastic as ever. When it comes to Santa, little children vibrate with excitement, whether it be rain or shine, blazing sun or freezing cold. The parade started a bit late, so those taking part on the floats had to wait around in the cold. Nobody seemed to mind. 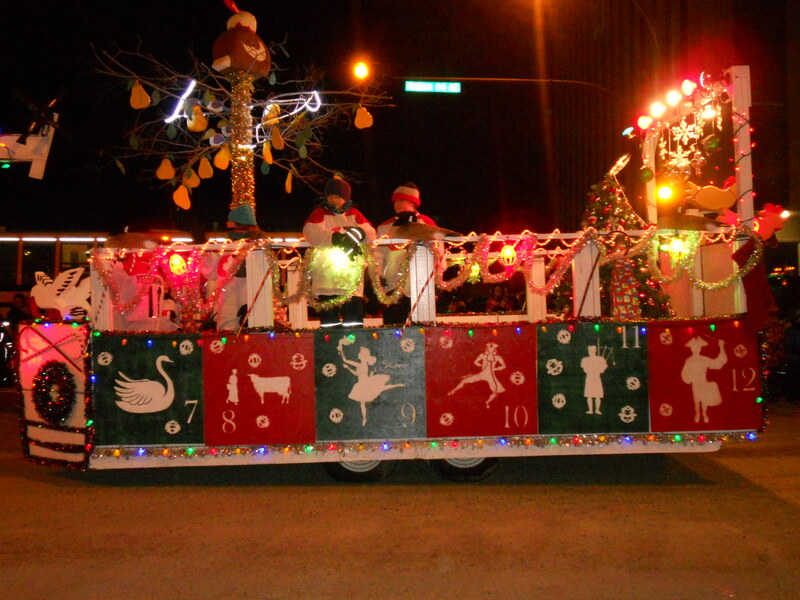 Generally, the floats were sponsored by local businesses or organizations. At the rate things are going, we might be watching the parade wearing shorts and sandals, someday not too far away.